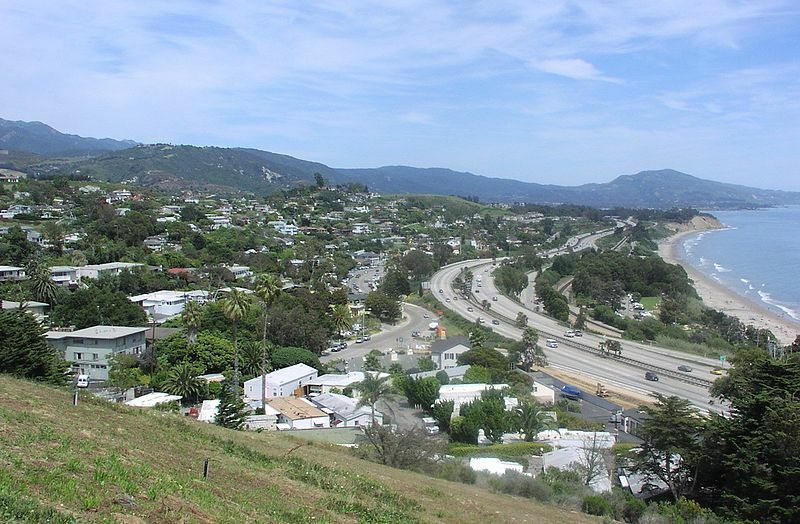 Summerland, California is located in Santa Barbara County. Summerland has a population of 1,408 and has shown -8.9% growth since 2000. Of the 634 households in Summerland, 32.2% are owned, 50.8% are rented and 17% are not currently occupied. The median age of homes in Summerland is 26 years and 34.0% of the homes have been occupied by the same residents for more than 5 years. Summerland is a census-designated place (CDP) in Santa Barbara County, California, United States. The population was 1,448 at the 2010 census, down from 1,545 at the 2000 census. The town includes a school and a Presbyterian Church. There are many small businesses. Tar from natural oil seeps in the Summerland area was long used as a sealant, both by the native Chumash peoples and by the Spanish builders of the Mission Santa Barbara, who used it as waterproofing for the roof. In 1883, spiritualist and real estate speculator H.L. Williams founded the town of Summerland. In 1888 he divided his land tract, on a moderately sloping hill facing the ocean, into numerous parcels. He promoted the tiny lots – 25 x 60 – to fellow spiritualists, who bought them in quantity and moved to the area. The houses they built included bizarre architectural features such as doors which opened to walls, and stairways ascending to nowhere. The spiritual center of the town was a community séance room, demolished only when Highway 101 was put through in the 1950s. In the 1890s, oil development began in the coastal area of Summerland, at the Summerland Oil Field. Numerous wooden oil derricks were built on the beach, and on piers stretching into the ocean. The world’s first offshore oil well, drilled into the sea floor, was at this location. Production at this beach area peaked before 1910, although most of the rigs remained into the 1920s. Peak production from the onshore portion of the Summerland Field did not actually occur until 1930; the last oil was pumped from the nearshore region in 1940. In 1957, Standard Oil Co. of California (now Chevron) found the large Summerland Offshore Oil Field, several miles offshore, which was shut down in the 1990s. In January 1969, a blowout at the Dos Cuadras Field, about five miles offshore, caused the Santa Barbara Oil Spill, a formative event for the modern environmental movement. Summerland is located at 34°25?17?N 119°35?45?W (34.421395, -119.595969). It is on the coast directly east of the city of Santa Barbara and west-northwest of the city of Carpinteria, and is almost entirely surrounded by the unincorporated community of Montecito. Summerland has a significantly higher population density than the surrounding area. U.S. Route 101 goes through Summerland. According to the United States Census Bureau, the CDP has a total area of 2.0 square miles (5.2 km²), of which, 2.0 square miles (5.1 km²) of it is land and 0.33% is water. Learn more about Summerland, Ca real estate for sale by contacting Santa Barbara real estate agent Barbara Reaume. Be the first to know about NEW LISTINGS in Summerland, CA. Setup an email alert today. Do you have specific questions about buying or selling real estate in the Summerland area? Ask to be setup on Barbara’s email-based home search to get instant alerts on price reductions and new homes for sale in the Summerland, CA area. Contact Barbara Reaume by email ([email protected]), phone (805-610-5403) to find out the value of your home, discuss your options.